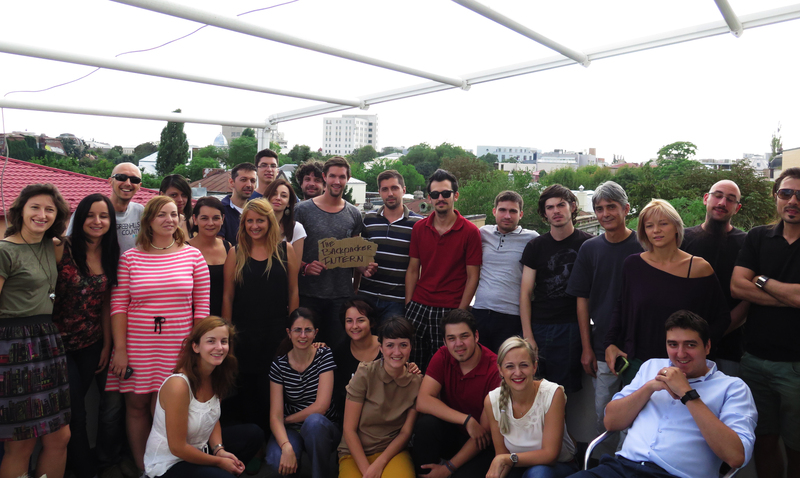 After my unforgettable experience at #LeoAdcamp in Brasov I was invited to do an internship at Leo Group in Bucharest. Aaaaaaaawwwyeaaah! But before I could open up my laptop to start working I had to find a way to get there. Since I’m running out of money I was planning to hitchhike. That was the plan. But as I discovered during 8 months of travelling, the best things happen without a plan. Let me tell you what happened. Wait…what? I’m not Bram Stoker. Let’s get back to the real story. So I was wandering around the streets of Brasov with my buddy Valentine Ogner. 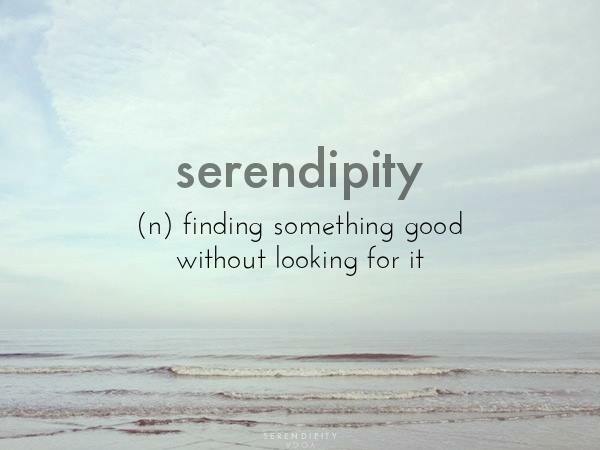 We had a deep conversation about serendipity and that ‘unexpected happenings’ might not be a coincidence. While we were talking about this subject we stumbled upon a couple. They were looking for their hostel. We showed them the way and started talking. The guy was from Canada and the girl from Germany. 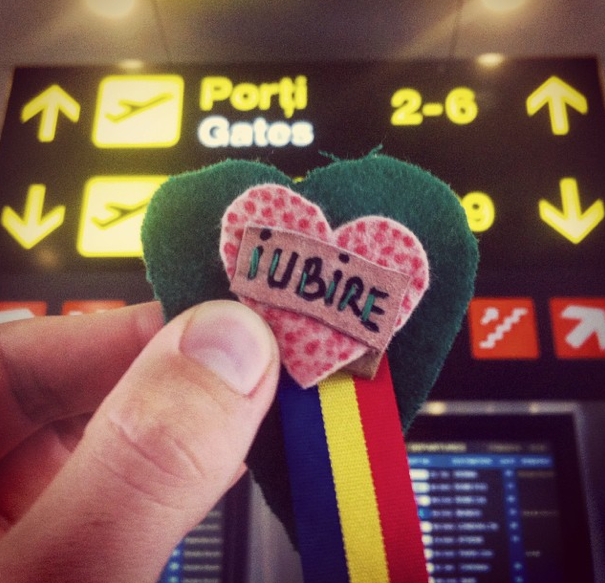 When they asked me what I was doing, I said: “I’m going to Bucharest tomorrow”. Tim (the Canadian) said: “Oh cool, we too, you can join us if you want, we have a car.”. Within 5 minutes my ride was fixed. Valentine and I looked at each other and knew that this was exactly what we were talking about the whole night. “Isn’t that crazy?”. 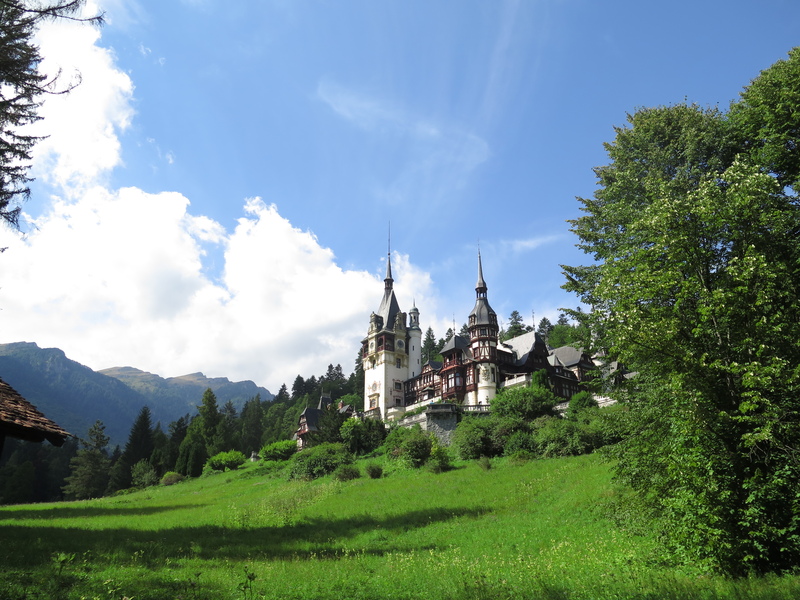 Tim and Julia picked me up in the morning and on our way to Bucharest we visited Peles Castle. Without any doubt the most impressive thing I’ve seen in Romania. The castle is surrounded by the rich nature of Sinaia. The inside is well reserved and renovated. It’s a trip back in ancient times; you can really imagine how it was like to live there. And if you’re a ‘Game of Thrones’ fan like me, better put this baby on your bucket list. Dear Tim and Julia. Thanks a lot for the ride and laughs. My apologies for getting you guys addicted to the best snack in the world; Kurtos Kalacs. Safely arriving in Bucharest: check. My first day at Leo Group was quite unusual for an intern. In the morning I met up with Lorand Balint. Lorand is one of the Managing Partners of Leo Group. 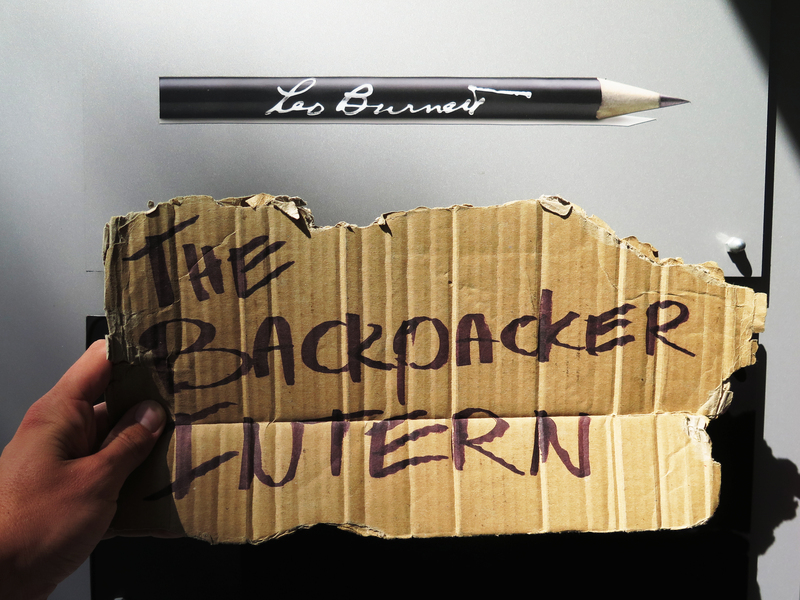 He has been around the ad scene for years and travelled all over the world. Instead of just shaking hands and saying, “see you later/never” we went to the balcony and started talking. 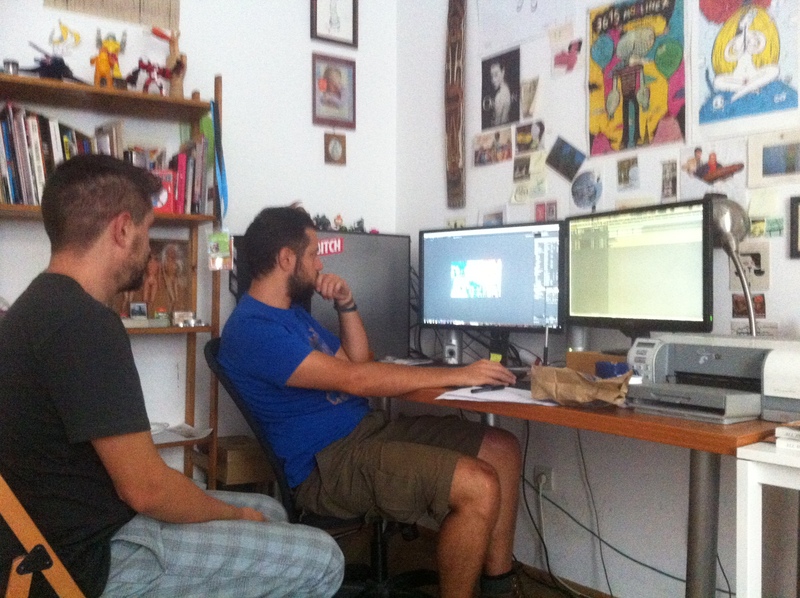 We had discussions about Romanian advertising, the global market, creativity, politics, start-ups and side-projects. He got at least 6 phone calls but blocked them all. That was awesome. When I looked at my clock it was already 13:30. I realised that I just spent the whole morning of my first day as an intern talking with the Managing Partner. That was even more awesome. During my two weeks at Leo Group I worked on different kind of projects. An internal one and four projects for clients/prospects. Unfortunately I’m not allowed to say which ones because that’s all classified. The good thing is that there is quite an opportunity that one of my ideas will come to life very soon. As always in advertising, you never know. Fingers crossed! To get to know my new colleagues I organised an office party on Friday. The idea was; ‘BYOB Party’ a.k.a. ‘Bring Your Own Beats’. As music is a language we all speak I asked people to send their favourite songs to ‘DJ Leo’. The good old man would create an epic playlist for all of us to enjoy. To spice things up a bit I ordered some Palinca (thanks for fixing it Anca) and more booze. Some of the music choices were, let’s say, ‘interesting’. We had a great time and the concept worked because the music brought us all together. The next week I worked and talked a lot with Victor Stroe, Planning Director. A savvy and above all great guy. From the first moment we met, we were on the same level. We worked on a case film for an award show with the talented illustrator NOPER (and friends) and talked a lot about strategy and ideas for a pitch together. We also discussed several other business and start-up ideas. Who knows what the future will bring us. It was great meeting you bro, thanks for your inspiration and all the bad jokes. We’ll meet again. On my last day I was interviewed by National Romanian television Digi24. Some of my colleagues were also part of it. It will be a 6-minute item. That’s almost a short film;) The result will be on air in about 3 weeks. I was a bit nervous and had the feeling that I was speaking too fast. But we’ll see, I’ll share it when it’s online so you can decide for yourself. Dear friends from Leo Group, I’ve learned a lot from you guys the last two weeks. Mulțumesc frumos! Good luck with all the projects and let me know if one of the ideas we came up with together will rock the nation. And I wanna give another massive ‘Multsumesc’ for whole Romania. I really enjoyed my time in this country. Îmi place! More people should visit to Romania to see the beauty of this place. 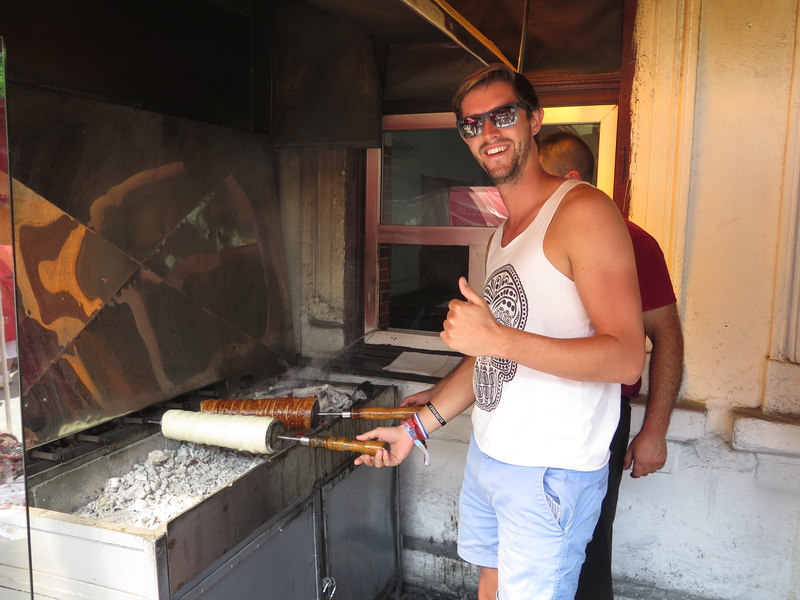 If the National Tourism of Romania needs help for a campaign, you know where to find me.